I've officially launched the See Brian Write podcast. The first episode is a shorter one, in which I introduce myself and talk a bit about the format of the show. I also mention Google Keep, a note-taking app that I've been getting a lot of use out of lately. You can find out more about Google Keep here and download the app for your Android device on the Play store. Even though the show will be a twice-monthly podcast, I won't be waiting two weeks to post the second episode--it should be up by next Wednesday at the latest. I'm trying out different headsets for recording as well, so you may hear slight variations in the audio over the first few episodes as I find the one I like best. One last note--I've lined up a handful of interviews so far, and I'm talking to new people every day. If you are a writer and want to be on the podcast, either email me (brian@seebrianwrite.com), or DM me on twitter: twitter.com/seebrianwrite. Holy cow. We made it to 100. Seriously, I can’t even believe it. When my buddy John Cordis and I launched Mo Stache in September of 2010, we had always hoped that we’d still be around a few years later, but you never know. So many things can derail a creative project, that you can’t take anything for granted. I am so happy and proud to be able to say we now have 100 pages of Mo Stache out there for people to enjoy. And here’s the crazy thing--the best is yet to come. I know people say that all the time, but it’s actually true in this case. We have so much more story to tell before we’re done, and we plan on doing it in less than half the amount of pages it took us to get here. John and I want the final act of Mo to be all killer and no filler, so prepare yourselves for a fantastic finish. 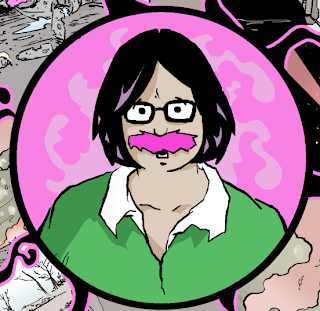 And if you haven’t checked out Mo Stache yet? What the heck are you waiting for? There’s 100 pages for you to read--FOR FREE! It doesn’t get any better than that, folks. It’s never been a better time to jump on board the crazy train that is the tale of a man and his alien mustache. And now, a woman and her alien mustache. Read it all at www.mostachecomic.com. Announcing See Brian Write--The Podcast! Guys and gals, I’ve got some big news--I’m starting a brand-new podcast! My new show will be called See Brian Write, and it will focus not only on my writing adventures, but also on the processes of developing a writer platform and self-publishing in general. I’ll be interviewing writers of all different genres and mediums, so they can share their stories and give insight into their creative methods as well. I actually have a list of people already that I’d love to get on the show, as they’ve inspired me in my own quest to get my writing out there. In doing research for a book on podcasting I’ve been working on, I recently checked out a lot of different hosting services for podcasters. Up until now, I’ve always used Podomatic, who I’ve had a wonderful experience with. I’ll continue to use them for my current podcasts Secret Identity, Kitbash Radio and Co-Op Critics. For See Brian Write though, I wanted to try something a little different. One of the more interesting audio distribution platforms out there right now is SoundCloud. You may have heard of them because a band you like released a new song on their SoundCloud page, or you may have seen one of their waveform widgets on a website in your internet travels (like the one below). Well, SoundCloud is currently beta testing some podcast functionality, and I decided to jump on their experimental train to see where it goes. I’ve applied to and been granted access to the beta, which will allow me to let people subscribe to a feed on my SoundCloud page. I’ll still be submitting the podcast to iTunes, so people can grab it there as usual, but I’m looking forward to seeing how SoundCloud’s podcast functionality evolves. I’ll be chronicling some of my experiences on the blog here as well as on episodes of See Brian Write. When can you expect this show to kick off? Soon. I plan on having a few episodes in the can before I launch, and at this point, the show will likely be a twice-monthly podcast. When I have guests, the show could go upwards of an hour in length, and the episodes where it’s just me will probably be about a half hour in length. I actually recorded a couple of episodes a while back, when I was just kicking around the idea of starting a new show. I may post those up as extras or test episodes at some point. So, thanks in advance for your support, stay tuned to the blog here and I’ll keep you posted! Oh, and you can cehck out a quick promo for the show below! Sometimes, I have to write about things in order to deal with them. Yesterday, a tornado hit the Oklahoma City area, and one of the places it hit was an elementary school in Moore, a city just south of Oklahoma City. As I write this, search crews are still at the site and some children have been rescued from the rubble, but there have also been casualties. There are no words to describe what the thought of losing a child does to you as a parent. I have not been able to watch the news coverage of that situation, and those families have not left my thoughts for a moment since that tragedy struck. As human beings, when we see something like this happen, our brains try to correlate what we see with something we’ve experienced, in order to help us make sense of the situation. For me, in this case, there is a correlating incident that has haunted me for almost two years and has profoundly affected my life. On June 1, 2011, a Wednesday afternoon, I left work a little early to go and pick up my son at his preschool program. The weather was about to get ugly--we had a severe thunderstorm warning at the time, and here had been talk of the conditions being right for a tornado, although everything we had heard at that point indicated the danger zone was east of Springfield, in the Palmer/Ware area. My son was supposed to a tee ball game that evening, so I was getting him early so he could go home and get ready, and so I could keep an eye on the weather. I picked him up around 4:15, which was about a half hour earlier than usual. I remember talking to the teachers there about how ominous the clouds looked that day, and how we thought his game would almost surely be canceled. On the way back, I picked up my daughter from her elementary school, which is a few blocks from our house. We got home a little before 4:30. 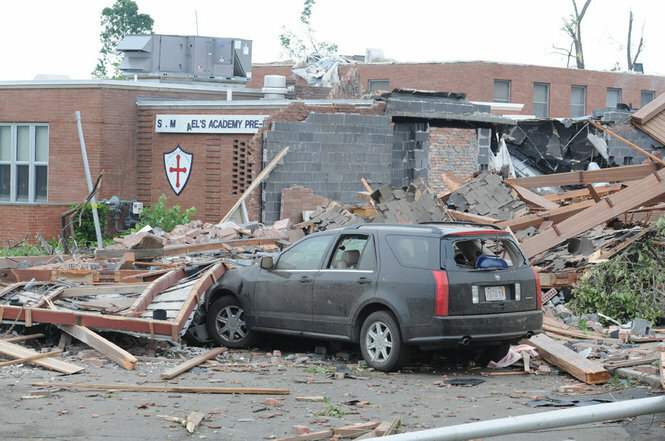 What I did not know at the time, was that a tornado had already touched down in Westfield about ten minutes earlier. By the time I turned on the TV at home, the tornado warning was in effect for the entire area. Right around 4:30, as I was watching the live weather report on TV, the tornado crossed the Connecticut River into downtown Springfield. I immediately took the kids into the basement, grabbing a flashlight along the way. They were not panicked at this point, but I was freaking out inside, having just seen the tornado on TV and realizing it was just down the street from us. We had only been in the basement a few minutes when the tornado literally came right down the street next to ours and then headed up toward the preschool where I had picked my son up a short time earlier. What I remember about the moments when it passed by was not the sound of the tornado itself, but the deafening silence that followed it. We stayed in the basement for a while afterward, until I heard some of the neighbors outside. I made the kids stay there until I could poke my head out and make sure everything was in one piece. Our street had been spared, but many others around us were not so lucky. Cell towers were down in the area, but I knew my wife would be on her way home and would be frantic worrying about us. I figured the worst was over, and my anxiety had just started to recede when a police cruiser came up the street next to us, telling people over his loudspeaker to get off of the streets, as another tornado could be on its way. Back to the basement we went, and I tried to keep the kids calm as I frantically texted my wife to get off the highway, hoping she got the message. Thankfully, that second tornado didn’t touch down in Springfield, and my wife made it home safely a couple of hours later, which were some of the longest hours of my life. It wasn’t until we walked around the neighborhood the next day that we realized how lucky we were. My son’s preschool had been caught in the path of the tornado, and the building was severely damaged. We found out that the teachers had gotten all of the remaining students to safety in the basement and no one had been injured. But the thought that my son could have been there had I not picked him up early that day kept me awake for months afterward. And so, as I dropped my kids off to school this morning, and my son turned to wave to me, I became overwhelmed with emotion. I almost turned around and kept him and his sister out of school for the day, just to easy my own anxiety. I drove away with tears in my eyes, thinking about how those parents in Moore dropped their kids off at school yesterday, and some of them will never get to see their children again. It’s truly heartbreaking. The events of the last 24 hours are yet another reminder of how our lives can change forever in one second. On June 1, 2011, my life changed forever. There is a sense of urgency to my life that wasn’t there before. There is now a voice in my head that reminds me to appreciate every single day I have on this earth, every day I get to spend with my children and the woman I love. I’m sure they think I’m crazy sometimes, but when you have a close call like we did, your perspective changes forever. My thoughts and prayers go out to everyone affected by the Oklahoma tornado. As for the rest of us, the least we can do to honor this (or any) tragedy is to never take anything for granted. Have you told the people you care about how you feel today? 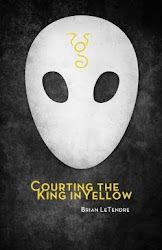 When I released my first book Courting the King in Yellow in October of 2012, I decided to put it out on as many platforms as possible. 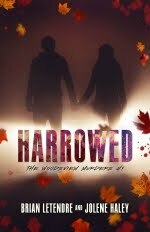 In addition to releasing on Kindle, I also released the digital version on Kobo and Drive Thru Fiction. 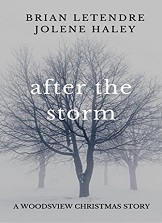 Sales of that book have been fairly modest, so I decided to try and kickstart my Amazon sales by enrolling my latest short story in the KDP Select program. My short story, entitled Private Showing, features a character from my novel, so my hope was that it would be a gateway story that might lead readers to check out the novel if they enjoyed it. KDP Select is an exclusive program, meaning you cannot put the digital version of your book or story up anywhere else while you are participating in the program. In exchange for that exclusivity, Amazon allows Prime members to borrow the book for free, and they reimburse you from a fund that is set aside for the program. 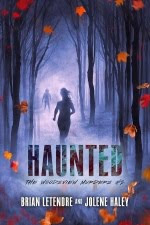 You also get a handful of days where you can offer the story for free to everyone. The idea is that your story will get a lot more exposure, which would hopefully lead to more sales. So, putting my short story up as part of the program is fairly low-risk for me, as I was only going to charge a dollar for it anyway. I’m interested to see if participating in this program has any effect whatsoever on my book sales, The results of this experiment will help me determine what I do with my next full-length book. So far, through the first three weeks, I have not noticed any spikes in sales, and I’ve been promoting the new story on my blog and through social media channels. In fact, Courting the King in Yellow has sold about as much as Private Showing, despite the fact that Prime members can borrow the short story for free. Say Hello to Kitbash Radio! I’ve got a couple of big podcasting announcements to make this week, and the first one is that my good buddy Jeff Rodgers and I just posted the first episode of Kitbash Radio! Kitbash Brand Design is a new company that Jeff and his wife Allison Rodgers launched in April 2013. Their focus is working with business owners to help them improve their brand and reach more potential customers. Kitbash is actually a project that evolved out of lbobi--The Little Blog of Big Ideas. For the past three years, lbobi.com has been a community blog designed around creative people inspiring one another through sharing tips, tools, stories and experiences. Jeff and I started a podcast in conjunction with the site called lbobi Radio, and have produced 52 episodes over the past couple years. 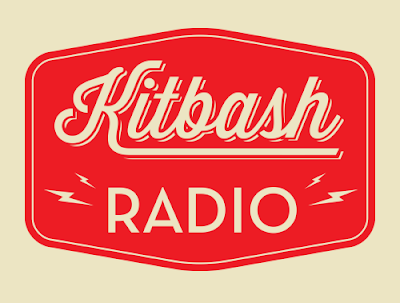 As lbobi has evolved into Kitbash, so too has lbobi Radio evolved into Kitbash Radio. The new podcast will retain the spirit of the old, as we’ll still be talking about design, marketing, creative tools and small business administration in our twice-monthly shows. In our very first episode, we were joined by the amazing Allison Rodgers, and we discussed the origins of Kitbash and talked a bit about logo design. You can actually listen to the first episode right here in the player below, or head over to the podcast page by clicking here. On the podcast page, you can subscribe through iTunes or any other aggregator you’re using. Come check us out! 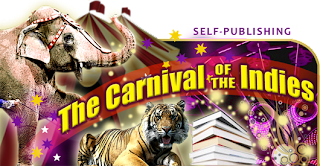 SBW Featured in April's Carnival of the Indies! Man, I love Joel Friedlander’s self-publishing website The Book Designer. In addition to being an amazing resource for authors and self-publishers, Joel takes time to recognize authors and point people toward their work each month in a variety of ways. The Carnival of the Indies is one of those ways. Joel collects blog posts from independent authors across the web each month and brings them together in one place. This past month, my post about Amazon’s Acquisition of Goodreads made the list. Because of Joel and the Carnival of the Indies, folks who would never have seen my work have found their way over to the blog, and I am eternally grateful for that. Head over and check out this month’s Carnival of the Indies (and the previous months as well). You will be hard pressed to find a better resource for independent author discussions on the web. 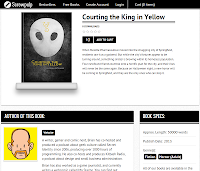 When I decided to put Courting the King in Yellow up on Screwpulp’s new self-publishing platform, the main reason was to get the word out about my book. Because of the way Screwpulp’s pricing model works, early adopters get the book for free in exchange for Tweeting about it and giving it a review on the site. The snowball effect of Screwpulp’s model is that as more people that check the book out, the price starts to go up, until it hits the sweet spot that people are willing to pay, then it stabilizes. When folks Tweet about downloading the book, I’ve been personally thanking them, and I think the ability to do that is one of the coolest things about Screwpulp’s model--it fosters direct interaction between readers and authors. I’ve had some great conversations with readers because of this, and it gives a weight to each download of the book that other digital platforms don’t. 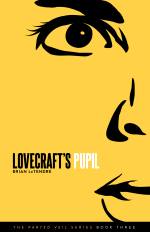 So, if you want to go and download Courting the King in Yellow for nothing more than a Tweet, click here to head over to Screwpulp now. And expect a thank you from me when you do! 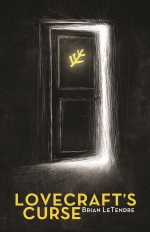 COURTING THE KING IN YELLOW is Now on Screwpulp! I'm excited to announce that my first horror novel Courting the King in Yellow is part of the launch lineup of books for a new service called Screwpulp. The folks over at Screwpulp launched this past week, and their approach to digital publishing is a unique one. When a book debuts on Screwpulp, the first twenty-five readers can download the book for FREE--in exchange for rating the book on Screwpulp.com and giving it a mention on social media channels. When the number of downloads hits twenty-five, the book goes from free to $0.99, and stays there for the next thousand downloads. Each thousand downloads after that, the price will go up by a dollar, until the downloads start to taper off. 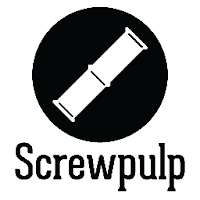 Screwpulp will monitor downloads and find the price point where downloads remain consistent, and then hold the price at that point. Of course, a lot of this is theoretical, as the site just launched, but I find it to be an extremely interesting experiment in reader-driven pricing. With my first book, my main goal is to get the word out about my writing by getting as many eyes on the book as possible. 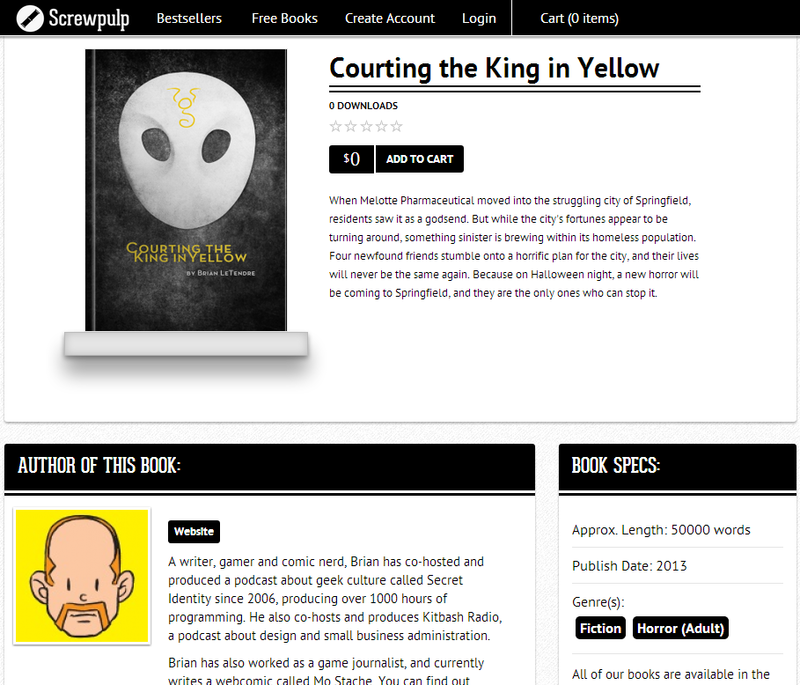 So, I'm all for trying out Screwpulp and seeing if their platform can help generate some buzz about Courting the King in Yellow. 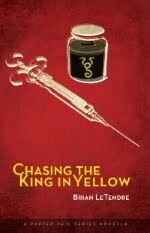 If you haven't picked the book up yet, you can get Courting the King in Yellow for free right now on Screwpulp. All it will cost you is a few words. May 4th is Free Comic Book Day! The first weekend in May each year, comic publishers and comic shops participate in Free Comic Book Day. They provide free comics to consumers in order to help grow the hobby and attract new comics readers. The celebration gets bigger every year, and many shops now hold signings with comic creators and have other special events to mark the occasion. Matt and I will be representing Secret identity at Most Excellent Comics in Enfield, CT for a good part of the day on Saturday, so if you're in the area, come on down! Some of our friends will be there as well, including The Hebert brothers, creators of Lazerman. If you have a local comic shop, head down there today, bring your kids, and celebrate Free Comic Book Day. And if you don't have shop in your area, there are some ways you can enjoy Free Comic Book Day digitally. Over at Drive Thru Comics, Asylum Press has released a digital sampler for FCBD (it's not for the kiddies, though). And I'm sure if check ComiXology, as well as the Dark Horse, Marvel and DC digital apps, you'll find they are making some comics free for the day. Go out and celebrate FCBD! 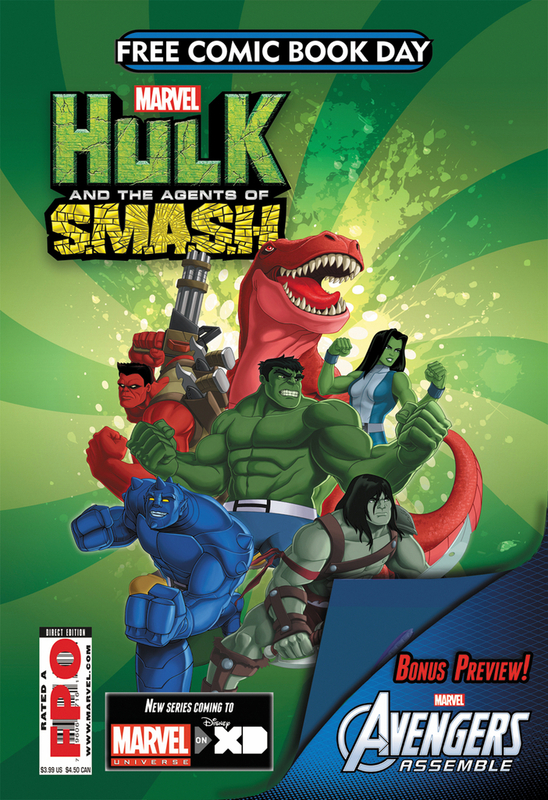 And, if you come across the Hulk comic below, gab it! My pal Joe Caramagna wrote it and it's based on the new cartoon coming to Disney XD. 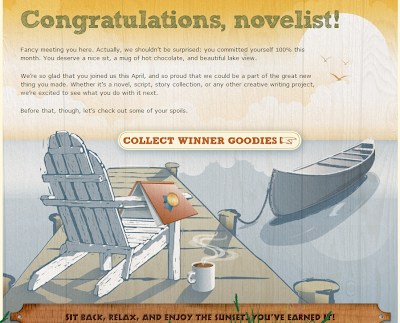 Well, my first Camp NaNoWriMo is in the books (no pun intended), and boy did I have a blast. I learned a few thing about myself along the way, which is kind of what camp’s all about, isn’t it? First off, I learned that I absolutely need to have word count goals in order to be a productive writer. I need them. After establishing a 500-word a day goal in March, and carrying that goal over into April, I can safely say that for this time in my life, I can write 500 words a day. Sure, there will be days when it doesn’t happen, but that should be my goal each day. It’s doable. For the most part, I have the time, and I’ve proven it over the past two months. Which brings me to the second thing I learned about myself--when I set reasonable goals, I often exceed them. I know, common sense, right? But here's the thing--I could have said I was going to write 1000, 1500 or 2000 words a day instead of 500. And I’m sure there would have been days where I hit that goal. But I would have failed a lot as well, and I would have felt like I was underachienvignt for the month. As it was, I exceeded my 500-word a day goal more than 75% of the time. This led to me feeling like I was overachieving for the past two months, and it kept me wanting to write as much as possible. Finally, I learned that the closer I get to the finish line of the month, the more I write. In both April and May, my most productive writing blocks were the last third of each month. In April, I went from 6,000 or so words in the first ten days, to 8,000 in the second ten and over 10,000 in the final ten days. There was a point in each month where I knew I would meet my 15,000 word goal, and it spurred me forward to hit the next milestone. 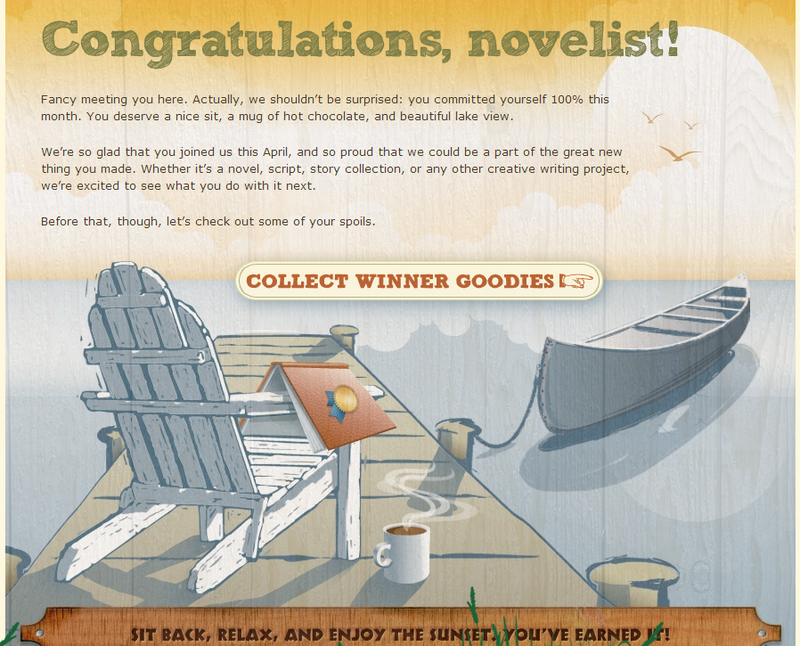 All told, I wrote over 25,000 words in the month of April. Combined with my March total of 16,000, that’s over 40,000 words in two months. I’m ecstatic about that. I finished another short story, got a ton of Mo Stache pages done, and I’m two-thirds of the way through a book about podcasting that I hope to finish in May. In fact, I’ll be carrying my word count goal over into May, and probably beyond.